First of all, Happy Father's Day. I hope you feted any dads in your household with good food and activities that help them feel loved and appreciated. If you are the dad, I hope you were treated like a king today. My dad's in heaven, and I miss him a lot. probably do every day this week. Everything slows down. I try to get chores done early before the mercury rises, and then camp out in the AC for the hot part of the day. I understand the civility of cultures where siestas are popular. Then as it cools down, I get back out in the pasture to spend time with the critters. I think I've mentioned that the new alpacas are doing fine in the heat so far, sunbathing in the pasture at times when the older, dark colored, huacaya boys are snoozing in the barns under the fans. Even Smokey Cat works to find cool concrete to help dissipate some body heat. There's just no reason to move quickly or be in a hurry. But life at the farm is still perking along. We're still planning neat events to keep us connected to the land and each other. Every day I see evidence that what people crave in our society is meaningful connection. And my goal is to provide as many opportunities for being together to do what we love as possible. I have some ideas brewing, but if you have a brainstorm, please let me know. I'm also on a campaign to support and draw public attention to as many local food farmers as possible. 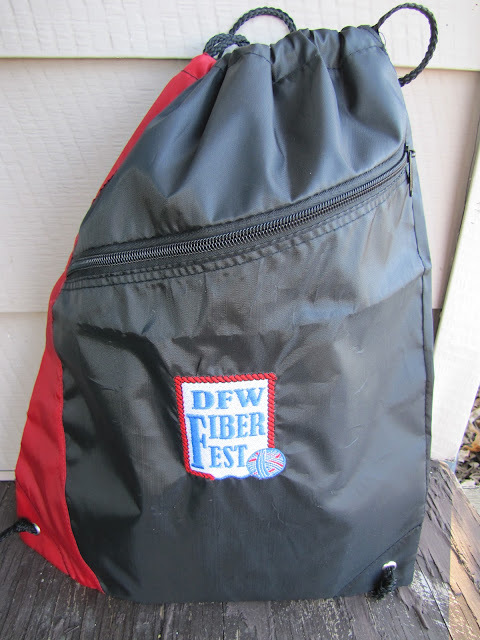 Know any we can plug and patronize? I was looking through my embarassingly vast and comprehensive library this evening and found a couple of books that I have enjoyed immensely, but which might bring another budding homesteader some joy and information. Tonight, I'd like to offer one of those books to a commenter here on the blog. Leave me a comment about your love of chickens, your interest in owning chickens, your curiosity about chickens, or your love of animal books, or whatever, and on Tuesday night, I'll give away Hen and the Art of Chicken Maintenance. It's really funny and I know you'll enjoy it. Also, there's another podcast in the works, so stay tuned. Well, you are now added to my blogs to be read (been following twitter but I like blogs). I'm a city/country girl - grew up all over the world, but family is East Texas so I had some exposure. And someday, when I'm out of the suburbs, yes, Chickens for me - but just for the eggs (okay, and feathers). But books about animal ownership - well, I already have an obsession. Loved 'Enslaved by Ducks', love all of Noel Perrin. So someday, I plan to be enslaved by something other than two tabbies, a dachshund and piles and piles of yarn! Hmmm - I'd be interested in reading a funny book about chickens. Our Adventure Chickens are funny, but not in a haha sort of way ;-). I love chickens! You are instrumental in that, Cindy -- watching Chicken TV on your porch has been so much fun. I'm planning to build a chicken coop sometime in the very near future and put three laying hens in my very small suburban North Dallas backyard. I'm hoping for this summer, but it might be next spring, depending on the heat (I don't do heat well either). Also, that picture of Smokey Cat is adorable! Was she trying to cool off, or hoping that some birds would overlook her when they came in for a bath? I'm imagining stroking my open hand across Smokey's back and tummy. What a sweet girl she is!! And clearly very smart . . . I mean, look at her "killing two birds with one stone." Did I say that??? Well, cooling herself where the birds might perch. Hmmm . . . a reall opportunist! Truthfully, I don't know if I like chickens or not--probably not because I'm not wild about birds. But I love eggs . . . and I love the eat chicken. But I am into zen, so I love the title of the book. First of all - LOVE the kitty!I can just reach into the screen and snorgel that furriness! Second - I am desperately in need of chickens, must give Suzyq some competition I mean company, I have my coop plan all picked out, the location in the yard, I have names, I have a neighbor who will watch them if we go out of town, now I need to quickly and sneekily build the coop and nab some chicnens without DH noticing until it is over and done! I am working on him.... he'll come around.... Going to visit HVFF and will put one of theirs in his hands .. THAT is the plan! I have been considering when I find my new house about the possibilities of having my own hen house! Plus they look like it would also be a great hobby too! "Here chicky, chicky chicky"!!! A very good friend of mine just started raising ducks and chickens - as a fun way to stretch the grocery budget. If I win the book I will ask you to mail it to her. I am totally loving my City Chickens! They are 6 weeks away from laying eggs!! My first venture into farm animals has been so much fun. I made 2 or 3 attempts to read Zen and the Art of Motorcycle Maintenance, and failed each time. 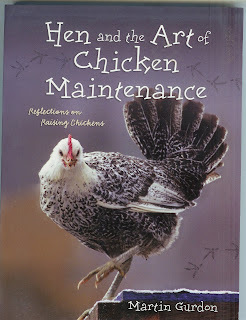 Maybe Hen and the Art of Chicken Maintenance is more my style. Alas, employees of Jacob's Reward Farm and their families... disclaimer, fine print, blah, blah, blah. As the Zensters might say, it isn't what it isn't.